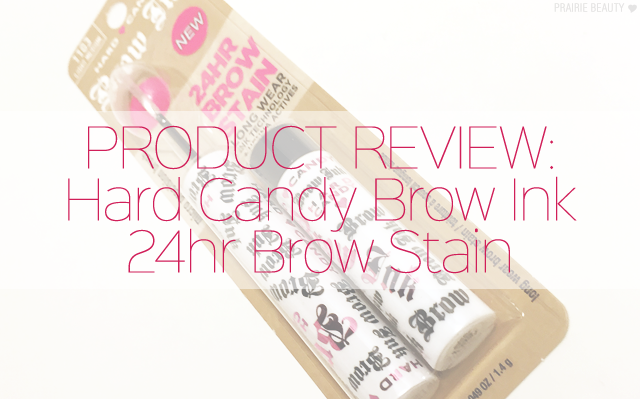 Since the Hard Candy Brows Now brow gel is one of my favorite things from the whole Hard Candy line, there was no way I wasn't going to be picking up the Brow Ink 24 Hr Brow Stain to try out. 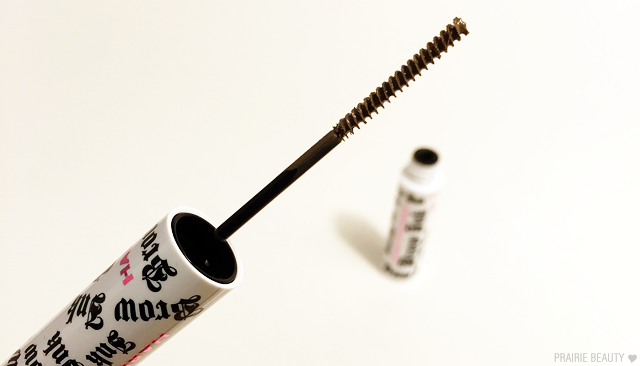 This is definitely quite different than most other brow mascaras that I've used in that, as far as I can tell, it's not really intended to provide hold or build volume, but is instead meant to be a tint. Kinda interesting, right? I've heard about these types of products from Asian brands, but I don't think I've ever seen a North American brand do one - Let me know if there are other brands that have this type of product! 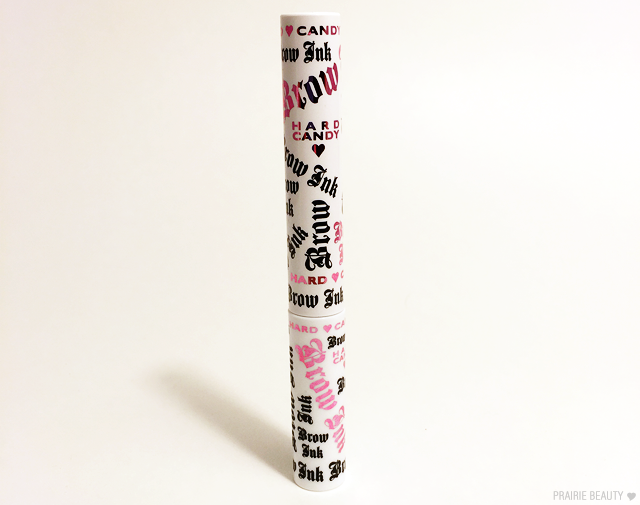 As you can see, this is a very slim tube and the well for the product is on the bottom. When it comes to the packaging, I have to admit that it isn't my favorite that Hard Candy has ever done. From an esthetic perspective, I find it to be a little too busy for my personal tastes and I would prefer it if the branding were a little more streamlined and simple. More importantly, though, from a practical perspective, the product is housed in a much smaller well on the bottom and the handle is quite long. I think I would like the opposite, even if it didn't mean there was any more product in the well, just because it's a little bit awkward and I find myself pulling out the wrong end. Annoying, but really... that's the lamest of criticisms, isn't it? I picked up the light medium shade and I think it's pretty bang on for what I prefer for my brows. It gives them a little bit of depth and definition without looking too dark. I have a feeling that this wouldn't work so well for those with blonde brows or very dark brows, but for the latter I believe it's also available in a deeper shade. But really, for anyone with light to medium brunette brows I think this could be workable. As you can see, the wand itself is very, very different. It's quite a bit longer than a lot of the brow mascaras that have been released in the past couple of years, but it's literally the slimmest want I've ever seen in my life. I found that it took a little bit of practice to get used to using this and I did make a bit of a mess the first few times I used it, but once I got the hang of it I found that I really like it. The trick that I've found is that you need to use a light hand and comb through the hairs without really touching your skin or else you'll get annoying globs that are kind of a pain to clean up. One thing that I was really, really impressed with is really how long this lasted in my brows. I really feel like my brows looked just as good at the end of the day as they did at the beginning and, for me, that's a pretty epic feat. It definitely gave some hold, but what I really liked was that it gave my brows some texture and made them look fuller. If you have really good brows and just want to give texture and a little bit of hold, this could be really great for you. However, if you need a lot of filling in your brows, I don't think this product alone is going to give you what you want. Also, if you like really sleek, perfected brows I don't think this is the problem for you. One thing I love is how natural this makes my brows look, but I know that a lot of people aren't into that. Overall, I think this will be a bit of a polarizing product. 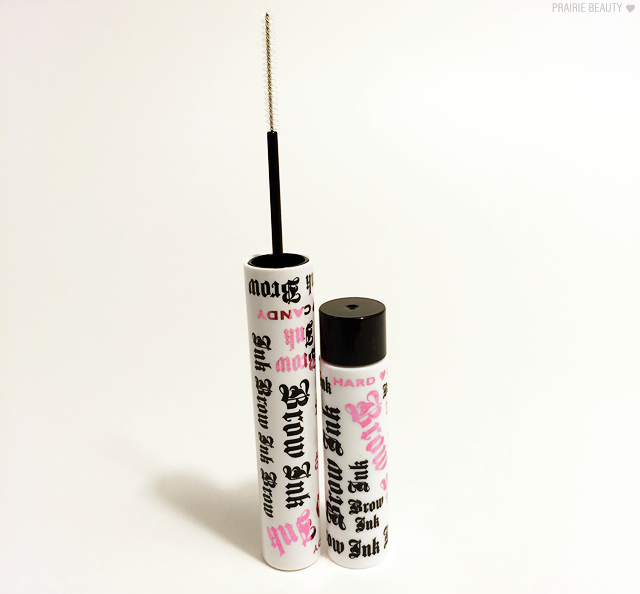 I think it's good and I will definitely continue to reach for it, but I think it's important to consider what you're looking for in a brow gel and choose specifically.